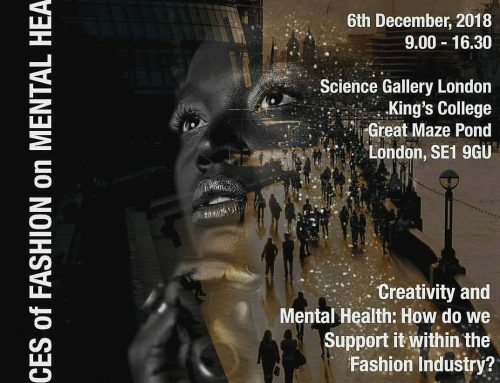 Until I began developing the world’s first and still only Masters degrees in #Psychology for #Fashion in 2012 @LCFLondon, one of the world’s leading Fashion Colleges and part of @UAL, few psychologists had considered fashion a valuable area of research. 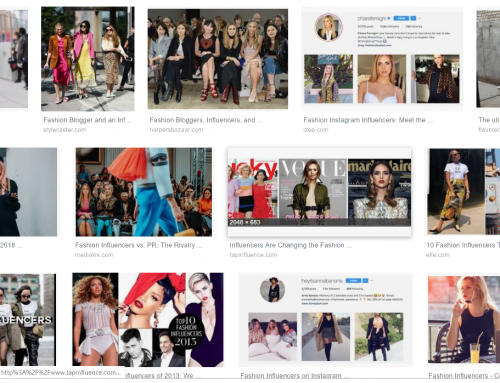 Since my pioneering work creating the field of #Psychologyforfashion, it is becoming increasingly popular as a topic of interest. Psychology is the scientific study of human behaviour using evidence derived from rigorous research methods. 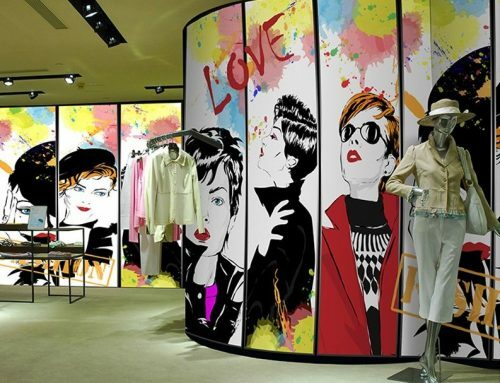 Psychology in the context of Fashion applies psychological theories and concepts within the context of fashion. Not only in relation to clothing, but also to the entire industry. Becoming a Psychologist requires years of training. An undergraduate (Bachelors) or graduate degree (Masters) are insufficient to become a Psychologist. Although it’s technically possible to use the label, Psychologist, as the titles are not protected by law in the UK, @the_HCPC protects titles. Anyone using a title such as Clinical or Counselling Psychologist without being registered with HCPC can be accused of misrepresentation. This is important given the trust given to ‘professionals’ and the requirements of the people who seek psychological advice or support. In addition to HCPC legislation, the term Chartered is protected by the British Psychological Society and is awarded to Psychologists who meet their standard in one of the core practitioner groups (See http://www.clinpsy.org.uk/forum/viewtopic.php?t=29 and https://www.degreequery.com/degree-need-psychologist/ which explain clearly the requirements of using the title, Psychologist). If you are looking for a Psychologist in any field, it makes sense to find one who is Chartered. You can find the Directory of BPS Chartered Psychologists here. It’s increasingly common to come across the term ‘psychology’ used synonymously for ‘meaning. For example, the opinion piece, ‘Psychology of Handbags’, written by the previous editor of Vogue UK. This is not a rare case perhaps because humans are sentient beings, many consider themselves psychologists when ascribing meaning to an object or behaviour based on their own intuitions and observations. While hypothesis and studies can be triggered by an intuitive question, suggesting intuitions provide reliable interpretations of general behaviour is a stretch of the imagination and counter to the aims of Psychology. I believe it does a disservice to its reputation and is one of the reasons trained Psychologists are reluctant to engage with Fashion as a topic of study. Most people understand the potential harm caused by opinions and judgements based on stereotypical heuristics, yet this is what we are beginning to see in the press when an interpretation of a single exemplar is applied in a broader context of seemingly similar exemplars. Humans are lazy thinkers. We prefer explanations that are simple to process, that don’t require reflection or challenging our pre-existing ‘knowledge’ and biases. We don’t like working hard to understand complex concepts and so it’s preferable for us to agree with statements that appeal to us because they seem to be intuitive. The detrimental impact of relying on heuristic thinking is explained by Nobel Laureate, Daniel Kahneman in Thinking Fast, Thinking Slow. Psychologists understand human behaviour by observing and measuring it, not through a single observation or ‘gut feeling’, but through using rigorous qualitative or quantitative methods based on evidence. Psychologists are interested not only in what people do, but also why they do it. If our goal is to improve performance, change unhealthy habits or empower individuals, understanding the reasons behind our behaviour is a fundamental element. If we want a fashion industry that provides a healthy environment for its workers, we need Psychologists. If we want a fashion industry that cares about the environment we need Psychologists. If we want a fashion industry that is inclusive, ethical and takes its social responsibilities seriously, we need Psychologists. I am cautious of what is termed ‘Fashion Psychology’ mainly because it seems not to be based on evidence, and typically no psychological underpinnings. Because Fashion Psychology is not a title that is protected or registered, it doesn’t exist in the profession of Psychology (at least in the UK). My Consultancy, Psychology for Fashion explains the rationale for the importance of applying evidence-based Psychology in this context. For example, delegates on my courses learn about Psychology applied to Fashion. For example, in the Introduction to Psychology for Fashion 1-day course, we explore perception, self and identity, body image and how to make fashion work for enhanced wellbeing. 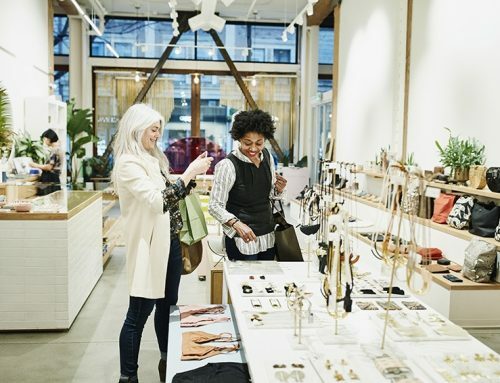 Among other topics on the 1-day course Consumer Psychology in Fashion we explore the psychological processes of judgement and decision-making. All teaching is based on evidence and applied in the context of fashion. Clients who engage my Consultancy services can be confident that my work is based on evidence, not intuition, and that methods I use for research, training and consultancy are rigorous. This means I generate meaningful, reliable and valid outcomes. My book, The Psychology of Fashion, is a great primer for anyone interested and keen to learn more about applying Psychology in the context of Fashion. 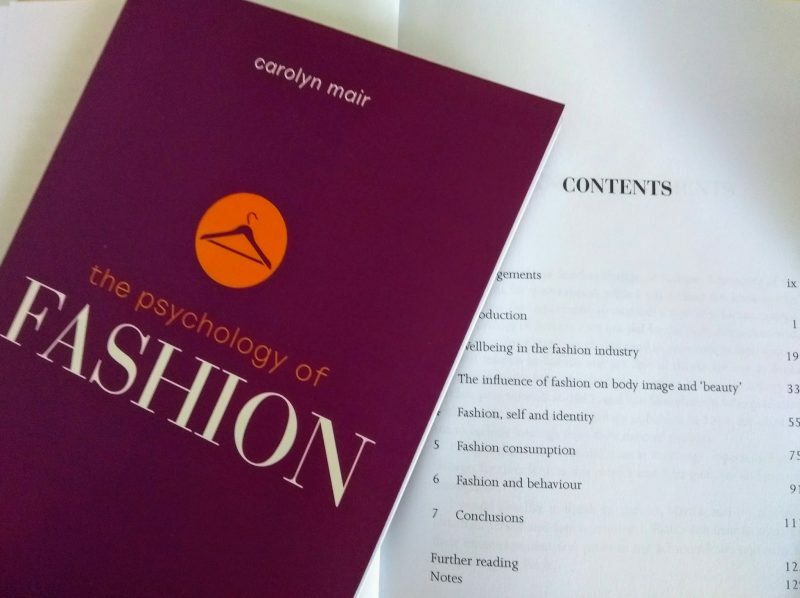 Those of you who follow my blog and tweets @Carolyn_UK will know that I take my responsibilities as the creator of Psychology for Fashion seriously. I strive to maintain the reputation of Psychology as a science and my own reputation as a Psychologist and scholar. Having been awarded the 2017 BPS Distinguished Contributions to Psychology Education, I consider myself an ambassador for this new subdiscipline and as such it is my duty to defend it when it is misrepresented. However, in addition to fashion’s frivolous reputation, I believe Psychologists are still reluctant to engage with fashion as an area of study because often there is little substance to its research and this is not helped by reports (in the same article) of an ‘informal study’ by the ‘fashion entrepreneur’ theorising that “people who worry more are drawn to black leather, that neurotics favour A-line skirt shapes and that melancholic personalities are five times more likely to favour a good, chunky knit (“Hypothesis: for the psychological benefits of tactile comfort”).” Any Psychologist would immediately question such claims. The statement alone is a nonsense in terms of science. A hypothesis is not a theory. Moreover, what does “5 times more likely” refer to? More than what? Who? How was anxiety measured? What do we do with the information? Why does this matter? Is it so we can be more judgemental when we see someone in an A-line skirt? Should we be questioning our own mental health when we check our wardrobe? Similarly, the vacuus quote from the ‘Fashion Psychologist’ about @FLOTUS “She doesn’t talk, and she doesn’t show any emotion on her face, so everyone wants to know, ‘what is she thinking?’ Fortunately, she’s really expressive through her clothes”. Really? What are the clothes saying? How do we know? Where’s the evidence? What are the implications? If we were to be swayed by such sources of ‘information’, how would we use it? What is there to take forward? What’s the point? other than media hype. Although the journalist is correct in pointing out that “None of that would probably pass muster in a peer-reviewed academic journal.”it is given space seriously reducing the value of the article and perpetuating fashion’s frivolous reputation. The article closes with a brief coverage of a well-known paper from 2012, Enclothed Cognition, in which the researchers demonstrated the effects on the cognitive process of attention (a fundamental component of many cognitive processes including working memory and decision-making) of simultaneously (i) believing the symbolic meaning of a garment and (ii) wearing it and another quote from me in relation to supporting consumers to make their own fashion more sustainable. Of course, it’s far more complex than reported. The evidence for the power of belief is strong and it is this that I was referring to. For more on the power of belief and rituals in making us more self-disciplined see @ResearchDigest. For more on how you can learn more about Psychology for Fashion and we can work together please contact me here. Thanks so much for your positive comment. I’m really pleased you enjoyed the blog. Are you a psychologist? Is there a particular topic you’d like to see featured in a blog?